The mad dash to advance an Obamacare repeal-and-replace bill picked up even more momentum Wednesday. "It is the leader's intention to consider Graham-Cassidy on the floor next week," said David Popp, spokesman for Senate Majority Leader Mitch McConnell. He's referring to the Senate GOP's latest repeal bill, spearheaded by Sens. Lindsey Graham (R-S.C.), and Bill Cassidy (R-La.) and unveiled last week. The bill would largely turn the Affordable Care Act into a block grant program for states, giving governors and state lawmakers more power in determining health policy. Under the bill, nearly $1.2 trillion in ACA subsidies would be doled out to the states through 2026. States would be free to do away with many of the consumer protections currently embedded in the ACA. The bill would also end Medicaid expansion in 2020. The nonpartisan Congressional Budget Office is expected to release a scoring of the bill next week. And the Senate Homeland Security and Governmental Affairs Committee, chaired by Sen. Ron Johnson (R-Wis.), a bill co-sponsor, is slated to hold a hearing on the bill on Sept. 26. While healthcare bills normally flow through the Senate Finance Committee and the Health, Education, Labor and Pensions Committee, it's not uncommon for the government affairs panel to look into programs that involve federal spending. Provider groups, staunchly opposed to previous ACA repeal efforts, have also come out against the Graham-Cassidy bill, fearing it would lead to a dramatic rise in the uninsured. "The Graham-Cassidy proposal could disrupt access to healthcare for millions of the more than 70 million Americans who depend on Medicaid and the marketplaces for their health coverage," said Federation of American Hospitals President and CEO Chip Kahn. "It is time to move on to secure the health coverage for those who have it, and find solutions for those who don't. We urge the Senate to reject legislation that fails to move us forward in assuring Americans access to affordable healthcare and coverage." 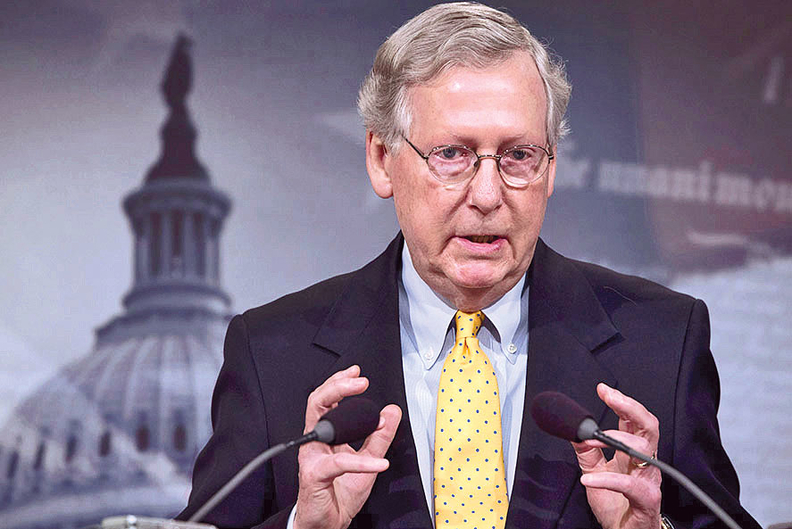 The Senate is in a bit of a time crunch to take another crack at repealing the ACA. The goal is to move the legislation under budget reconciliation rules, which only require a simply majority for passage. The Senate parliamentarian said budget reconciliation rules end with the fiscal year on Sept. 30. "I hope Republican Senators will vote for Graham-Cassidy and fulfill their promise to Repeal & Replace ObamaCare. Money direct to States!" President Donald Trump tweeted Wednesday. Meanwhile, Vice President Mike Pence was dispatched to Capitol Hill to meet with senators. The push to vote on Graham-Cassidy has also dealt a blow to bipartisan efforts underway to address cost-sharing reduction payments, which insurers have said are critical to stabilizing the individual market. Insurers have been largely silent on Graham-Cassidy, but the Blue Cross and Blue Shield Association today publicly opposed the bill. "Although we support providing states with greater flexibility in shaping healthcare options for their residents, we share the significant concerns of many health care organizations about the proposed Graham-Cassidy bill. The bill contains provisions that would allow states to waive key consumer protections, as well as undermine safeguards for those with pre-existing medical conditions. The legislation reduces funding for many states significantly and would increase uncertainty in the marketplace, making coverage more expensive and jeopardizing Americans' choice of health plans. Legislation must also ensure adequate funding for Medicaid to protect the most vulnerable," the association said in a statement. In a letter to McConnell and Senate Minority Leader Chuck Schumer (D-N.Y.), America's Health Insurance Plans, the industry's main lobby group, said that the Graham-Cassidy legislation fails to meet five crucial tests: stabilizing the insurance market; ensuring Medicaid reforms meet beneficiaries' needs; guaranteed access to coverage for all Americans, including those with pre-existing conditions; time for the industry to prepare for any changes to existing law; and getting rid of health insurance and excise taxes.